Meet Erika, a domestic violence survivor building a new life. Erika’s Story - A brighter, safer future. Erika didn’t know if she could keep her family together anymore. After nearly 10 years with her abusive husband, Tom, the near constant physical abuse had become too much. But Erika was too afraid to just leave, not without knowing how she would provide for her children. So she stayed. But in December of 2017, Erika’s husband lost his job. Erika wanted to help, but Tom had made her quit her job a few months ago to watch after the kids and he refused to change his mind. Only a month later, they were evicted. It came as a huge shock to Erika, as Tom had not mentioned anything about it. Suddenly they didn’t have a home for their two infant children, Jamie and Jessica. Distraught, Erika began to ask Tom what they were going to do, where they were going to go. Tom started to escalate, shouting and threatening. Then, in front of their children, and in the middle of the street, Tom struck Erika three times, knocking her down and bloodying her face. In that moment Erika knew she had to leave. Picking up her two children in her arms, she rushed down the street praying she could get some distance between her and Tom. After walking for over a mile, Erika sat Jamie and Jessica on the curb and called A New Leaf’s domestic violence hotline. “It was scary. I didn’t know why anyone would want to help me, let alone come and pick us up.” But within an hour, A New Leaf’s staff drove to where Erika and her children were waiting, picked them up, and placed them into a hotel that night to make sure they were safe. For the first time in 10 years Erika asked for help, and A New Leaf answered. Within three months Erika found a well-paid job at a FedEx office, bought a 2003 Nissan Centurion, and enrolled in A New Leaf’s Rapid ReHousing program which would support her in finding and keeping her own apartment for up to a year. “I had always been a hard worker, intelligent, even successful in many of the things I tried. I just needed to get back on my feet. I just needed help.” Through A New Leaf’s Rapid Rehousing program, Erika will have emergency financial assistance and a caseworker by her side until she becomes self-sufficient. She will get the help she needs. “The terrifying prospect of becoming a single parent and leaving an abusive partner is gone thanks to these safety nets, and I could not be more thankful! 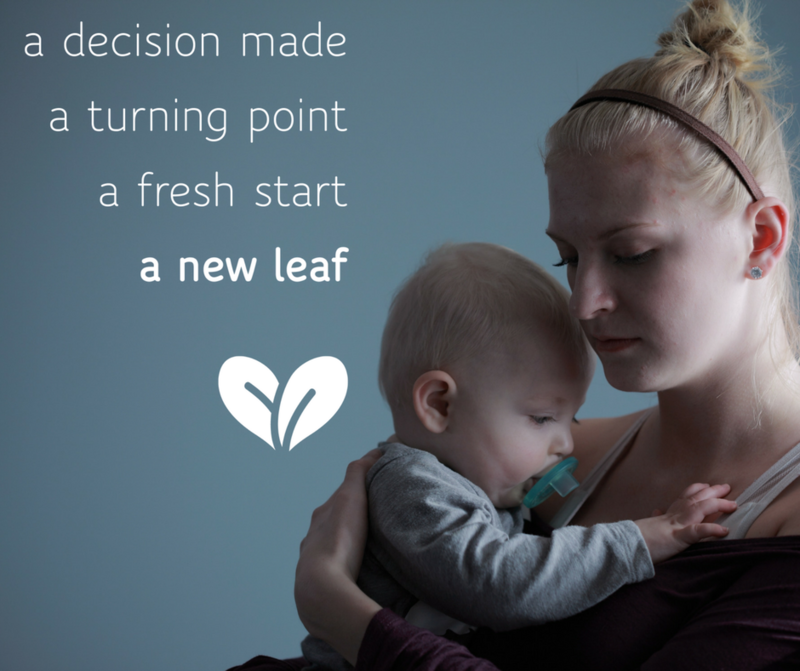 Now my kids have a safe home, and the stability has allowed them to flourish.” Erika and her family have started on a path to a brighter, safer future thanks to all the supporters that make A New Leaf’s programs possible.